For more than 100 years, Peking University has been an elite institution of education, recognized internationally as one of China’s premier centers of academic excellence. Founded in 2004 as Peking University Shenzhen Graduate School of Business, the school was renamed Peking University HSBC Business School (PHBS) in August 2008. 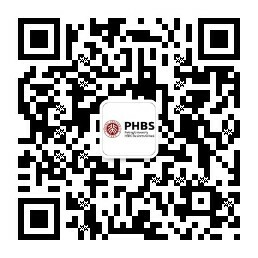 PHBS seeks not only to build Peking University’s inspiring tradition, but also develop its own world-class reputation. Presently, Peking University HSBC Business School offers Masters of Economics, Masters of Finance, Masters of Management, and MBA taught exclusively in English. In addition, PHBS offers EMBA, PhD in Economics and a wide range of executive development programs taught in Chinese. At the center of any great university is its faculty. At present PHBS has 71 full-time faculty members with PhD degree from top universities all around the world. PHBS continues to earn its reputation as an institution of academic excellence and freedom. Our faculty are passionate about teaching and research, and our students are among the best in China. These unique characteristics, which few other business schools possess, can help us develop the capabilities and connections we need to succeed in global business. Internationalization is always at the heart of teaching and research at PHBS because we believe that fostering international perspectives in students is important for their success in the global market. To inspire collaborative research, PHBS has a new a new state-of-the-art financial laboratory and holds academic seminars regularly. In acknowledgment of the importance of English in today’s business world, we require incoming students to be proficient in English. We have an entirely English language teaching environment; all lectures are conducted in English classes. Guided by its unwavering commitment to excellence, Peking University HSBC Business School is unique among its peers in its pursuit to develop graduates who are superbly trained, visionary, bilingual and culturally aware. In short, our mission is to provide our graduates with the type of education that will prepare them to take their places as outstanding leaders in business and other fields not only in China but throughout the world. Download our new brochure here !